Amid the dazzling new tools and exciting integrations aimed at making life easier and more profitable for managed service providers (MSPs), the just-ended Kaseya Connect 2016 also featured a bevvy of important discussions about the future of outsourced IT. During a session entitled “Best New Service Opportunities,” industry experts tackled questions like whether cloud is a friend or foe, whether many MSPs are actually resellers, and whether the term “MSP” is so vague as to no longer be useful. 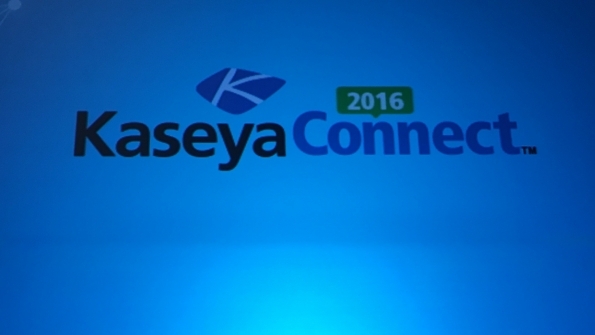 Amid the dazzling new tools and exciting integrations aimed at making life easier and more profitable for managed service providers (MSPs), the just-ended Kaseya Connect 2016 also featured a bevy of important discussions about the future of outsourced IT. CompTIA’s Carolyn April previewed new research showing that implications of cloud computing is the number one issue keeping MSPs awake at night, followed closely by customer demands and margin erosion. “I think a lot of (vendors) want to turn MSPs into resellers of cloud,” said panelist Charles Weaver, CEO of MSPAlliance. He cited the example of Microsoft, circa 2008-09. “Microsoft did a lot to remove products from the channel to push MSPs into (Office) 365,” Weaver said. John Christophersen, CEO of consulting firm Taylor Business Group, said many MSPs are struggling to figure out how to profitably market their services alongside popular cloud products. “If you just sell it, it’s a product,” he said. The challenge, Christophersen said, is coming up with ways to bundle meaningful services around the product. Miguel Lopez, general manager of Kaseya’s MSP market segment, said many MSPs continue to resist offering what they know their customers want. He regularly asks groups of MSPs how many have customers requesting virtual CIO and audit services, after which nine of 10 raise their hands. Lopez said he then asks how many offer such services. “Six in ten put their hands down,” he said. Increasingly, MSPs are successfully innovating around cloud, Lopez said, be it through Workstation as a Service, hosting, or offerings related to Office 365. “It’s happening whether you want it or not,” Lopez said. Despite uncertainty about whether cloud will ultimately be a net positive or negative for MSPs, the panelists were unified in discouraging the marketing of the term “managed services” to customers, and suggested MSPs instead push their individual brands and deliverable outcomes. The experts also generally agreed that offerings surrounding security would continue to be a boon. “The conversation that seems to be opening doors right now is security,” Christophersen said. Several panelists encouraged more collaboration and service agreements to ensure MSPs were providing customers with the appropriate level of security expertise. “If you’re not a specialist in security, refer it out,” said Weaver, arguing that too few MSP are willing to work together. “We’ve barely scratched the surface of the number of MSPs who network and refer,” he said.